A lady with a dangerous secret deceives the man she loves, desperate for protection from her encroaching past. Connor and Verena from Honor have appearances. Adam and Bri from Betrayal are supporting characters. Levi and Aurora make an appearance in Heartless and Aurora makes an appearance in Forgotten, and other Heartless tales. Miss Aurora Glendenning wants marriage. She wants the security and protection of a man who loves her for herself alone. Only love will allow a man to overlook the glaring mistakes she's made. So she hides her past and her wealth behind an elaborate web of deceit. Levi, Lord Greville needs a fortune. He resolves to marry an heiress and recoup his losses. But when he meets the lovely Miss Glendenning, he can think of no one else. Determined on his course, he forces his mind away from the young woman. But an indiscreet meeting causes a rushed marriage and the revealing of lies too shocking to endure. When Aurora's past makes threatening advances, Levi must choose between love and pride. 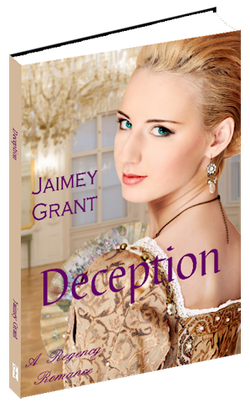 "Jaimey Grant has put together a montage of excellent, well-constructed characters in a world all her own, set in Regency London."